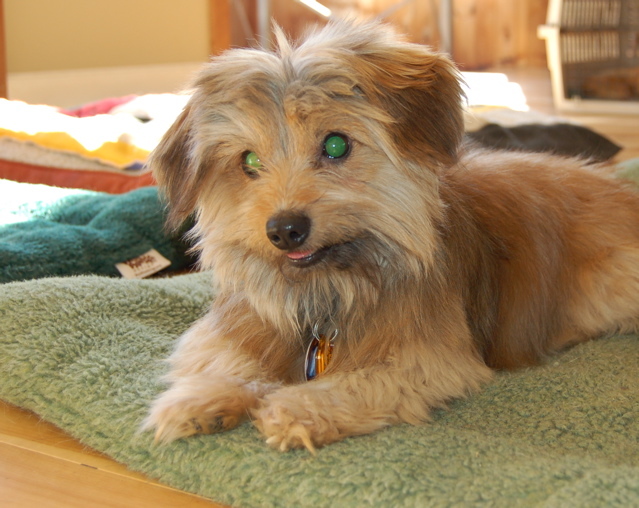 This adorable little tyke arrived in 2010 from a rescue group in Shreveport, Louisiana. He had ended up with them after his owner had died, and they asked if we could take him. 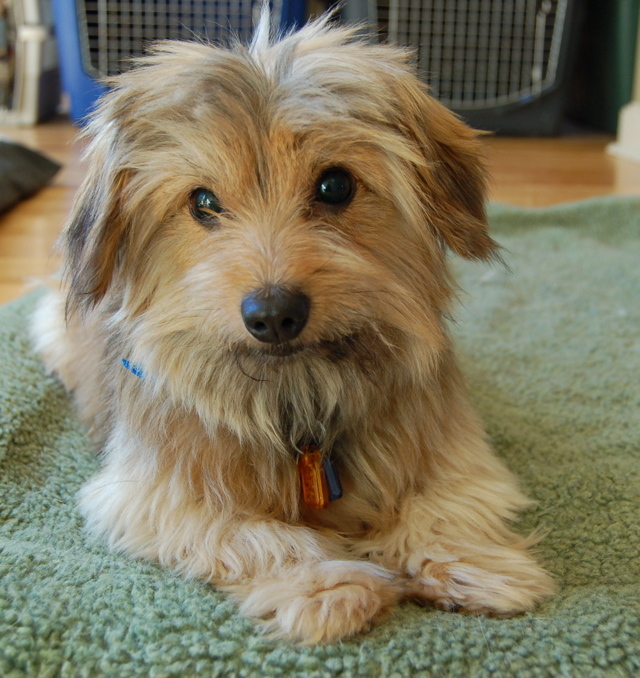 He’s about five years old, a terrier mix of some sort, and his name is .. yes, Fuzzy. He is a tiny fellow, weighing in at about 12 pounds, and would appear a lot smaller than he looks without his, well, fuzziness. He is also the sweetest, happiest thing we’ve ever seen. He greets everyone with a tail wag, and bounces all over the place introducing himself to the other dogs. He’s just one of those happy-go-lucky, glad-to-meet-you types. Although he’s clearly been through some upheaval in his life, you’d never know it from watching him here. Fuzzy has already adapted to the house, figured out where things are, and navigates around like a pro. And, in just his first two days, he wagged his way right into our hearts!